As I mentioned it in my How to turn on Push Notifications post; if you want to run successful Push Notification campaigns, you need to subscribe as many visitors as you can. This is the best campaign for boosting your push opt-in rate. It contains one single push notification, giving a warm welcome to your fresh new subscribers. It may sound insignificant, however, it can boost your opt-in rate to 15%, or drop it to 2%. A simple, kind welcome, nothing more. In fact, if you welcome your subscribers differently you can easily boost your conversion rates. The version with the discount works perfectly. 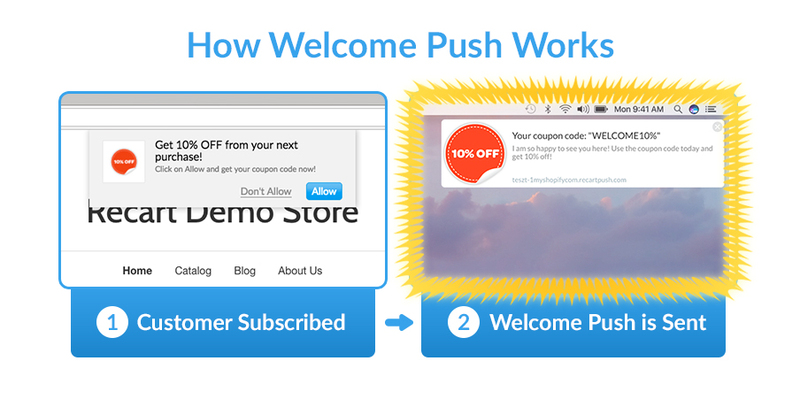 We usually see 12% opt-in rate from this combination of Subscription & Welcome Push. 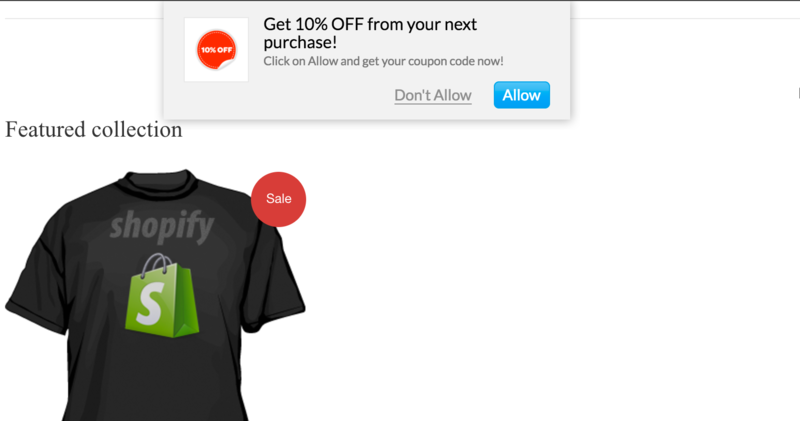 Right after they subscribed, the Welcome Push is sent and they receive the coupon code. This is a great push towards the final purchase. If you don't want to give a discount right away, it's completely fine. Just use the default Welcome Push message, or turn it off completely. Want to learn more about Push Notifications? Here's my recent blog post about it. Still have questions? Don't hesitate to ask us!